Karen Kazmer, a practising visual artist, works with a diverse range of materials in her sculpture, installations and public art. She received her BFA from UBC and her MFA from York University. She is a part-time instructor at Emily Carr University of Art + Design. Her work has been exhibited in group and solo shows in Canada and the United States. Recently, a public commission, Moving Up was completed for the new Spirit Trail in North Vancouver. Jessie Caryl is a lawyer whose background is in historical research, writing, and curatorial practice. She has an M.A. in Art History (Critical and Curatorial Studies) (UBC), an Hon. B.A. in Art and Art History (University of Toronto) and a diploma in Fine Art from Sheridan College. Fiona Mowatt is a practising visual artist & arts educator based in Vancouver BC. 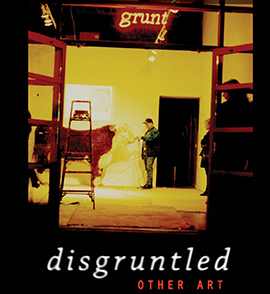 A graduate of Emily Carr University of Art & Design, her first solo exhibition was at the grunt gallery in 1993 and she has been involved with the gallery ever since. As a senior educator at the Vancouver Art Gallery, and a former instructor at Arts Umbrella, she has many years of experience developing & teaching curriculum, working collaboratively and conducting public tours & workshops for both youth groups & audiences of all ages. Pongsakorn Yananissorn‘s practice investigates and expands on naturalized experiences and unobserved paradoxes in which ideologies are at their most potent. Employing various mediums that correlates to their own socioeconomic and historical specificities his projects often take form in subtle interventions and tongue-in-cheek responses. This engagement applies to both his artistic and curatorial practice. Born in Thailand, he currently lives and works in Vancouver. Brett Clark relocated permanently to Vancouver from Melbourne, Australia in 2017. An opportunity to work at the Vancouver Art Gallery’s during a working-holiday introduced him to the visual-arts community and shifted his focus to fundraising for non-profits. Now working at the Contemporary Art Gallery, Brett holds an Honours Degree in Music and continues performing with the Vancouver Men’s Chorus and spends his remaining time volunteering for arts organizations and festivals. Shannon Leddy (Metis) is a Vancouver based writer and educator. Her PhD research at Simon Fraser University focused on inviting pre-service teachers into dialogue with contemporary Indigenous art as a mechanism of decolonizing education and in order to help them become adept at delivering Indigenous education without reproducing colonial stereotypes. She now holds a position in the Faculty of Education at UBC and continues to focus on working with pre-service teachers in improving their practices in Indigenous education. As a former high school art teacher, Shannon excited to be working with grunt gallery and to keeping her hand in the arts. Gizem Sozen is a PhD student at the Political Science Program with a concentration in Cultural, Social and Political Thought at the University of Victoria. She received her BA in Sociology from Koc University, Istanbul in 2009 and her MA in the Social and Political Thought Program from York University, Toronto, in 2012. After her MA, she gained a Diploma in Art History from the University of British Columbia, Vancouver. Her research interests are situated at the intersections of social and political thought and history of art and aesthetics.